When two villains clash, who do the bystanders cheer for? When Vader sees Luke being pummeled by the Emperor, he stands up and decides it's time to drop his evil ways and hurls Palpatine into the new Death Star's reactor shaft. Yes, I know too much about Star Wars. In that moment, viewers begin to cheer for Vader. Sure, he's evil; but, he was corrupted and turned by something beyond his control. EA? Who knows. This whole idea of evil vs. evil and pot meeting kettle stems out of EA's brand new lawsuit against Zynga. EA launched The Sims Social last year. Zynga launched The Ville this year. EA claims that Zynga is guily of stealing entire ideas. In fact, EA has accusing Zynga of doing it to more than just EA. Zynga's reponse? Here it is. We are committed to creating the most fun, innovative, social and engaging games in every major genre that our players enjoy. The Ville is the newest game in our 'ville' franchise – it builds on every major innovation from our existing invest-and-express games dating back to YoVille and continuing through CityVille and CastleVille, and introduces a number of new social features and game mechanics not seen in social games today. It's unfortunate that EA thought that this was an appropriate response to our game, and clearly demonstrates a lack of understanding of basic copyright principles. It's also ironic that EA brings this suit shortly after launching SimCity Social which bears an uncanny resemblance to Zynga's CityVille game. Nonetheless, we plan to defend our rights to the fullest extent possible and intend to win with players. The crazy thing? They're both guilty. SimCity Social is almost identical to CityVille. Sure, EA's leveraging a brand that they've had for a good long time, but their design principles feel like they were lifted directly from Zynga's handbook. It's too bad Zynga's handbook is almost entirely devoid of originality. Is this EA's attempt at regaining a more positive image? EA has become the bane of the gaming industry. They, according to gamers and commenters around the internet, are a money-hungry corporation that will stop at nothing in order to strip players of their hard earned bucks. From poorly planned DLC to franchise abuse, EA has turned into a corporate machine. The Mass Effect 3 fiasco alone caused more damage than EA likely predicted. Gamers love to hate them. Maxis isn't the first studio to claim that Zynga copied its creative product. But we are the studio that has the financial and corporate resources to stand up and do something about it. Infringing a developer's copyright is not an acceptable practice in game development. By calling Zynga out on this illegal practice, we hope to have a secondary effect of protecting the rights of other creative studios who don't have the resources to protect themselves. Is EA really stepping up so that they can help the little guys? Or are they stepping up so that gamers, who likely hate Zynga just as much, ooo and ahh at their proverbial tanking effort. Yes, I've played too many multiplayer RPGs. Like the tagline from Alien vs. Predator, I'm not sure the outcome of this suit will be good for gamers. If EA wins, Zynga stops copying games for a few minutes whilst gamers are tricked into loving the mega publisher once more. If Zynga wins, then the wholesale act of copy-paste development is deemed a-okay for a good long while. I'll leave you with a conversation shared between a close friend. I won't be naming the peer, so they are "Friend" and I am, go figure, "Me." Me I think I might write this as an editorial. 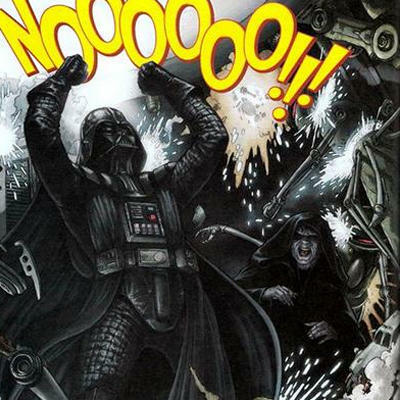 EA vs. Zynga – Darth Vader vs. Emperor Palpatine. Friend Haha. What does that make Activision? Me Jabba the Hutt; the greasy scumbag on the outskirts of the universe. Friend That makes Blizzard Slave Leia then? Me Yes. THIS METAPHOR CONSTRUCTS ITSELF. WE NEED A HAN SOLO! And Notch is Admiral Ackbar!